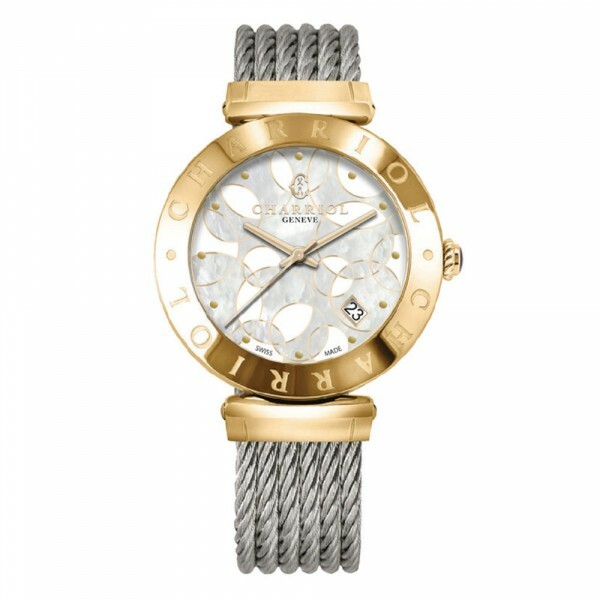 34mm yellow gold PVD 2N steel case, mother of pearl dial, steel cable strap, Swiss movement. Effortless glamour - Charriol's classic ALEXANDRE C™ watch for women, featuring a timeless blend of yellow gold and mother-of-pearl. 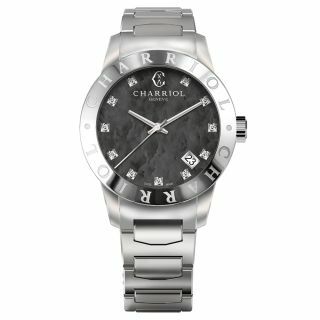 Launched over 30 years ago, the Alexandre C watch is named after founder Philippe Charriol’s first son. 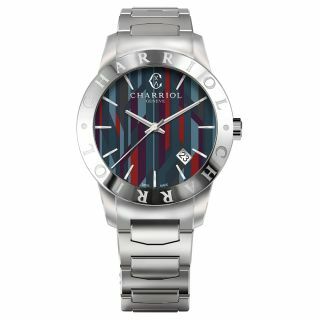 Each timepiece is designed to represent the values of the Charriol family - determination, style and success - and also demonstrate the Maison’s renowned watch-making expertise. 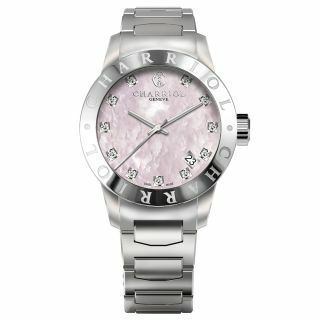 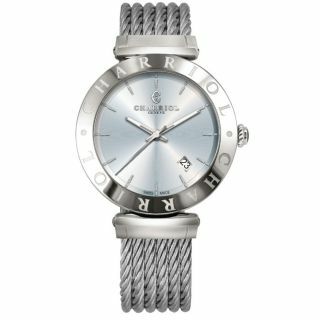 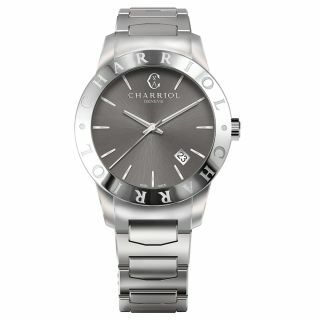 This new model is no different, showcasing Charriol’s stalwart craftsmanship and classic aesthetic with aplomb. Feminine and sophisticated, this Swiss-made watch shines luxuriously in yellow-gold plating and features an eye-catching inclined bezel emblazoned with our brand. 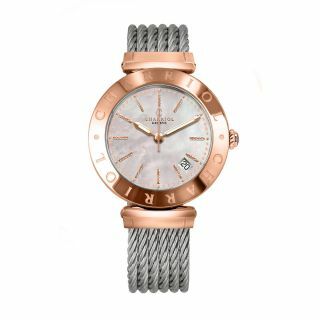 The stunning guilloché dial shimmers with mother-of-pearl, which perfectly complements the yellow gold index markers and signature cabled bracelet strap. 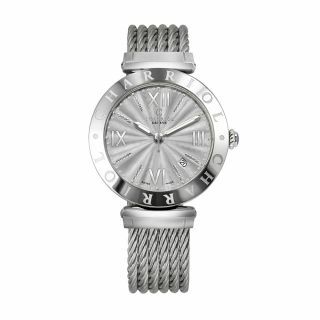 An elegant design, which is exquisite enough to never leave your wrist. Versions for the man in your life are available too.